Aside from my own triathlon goals and day job, I want to help other achieve their goals in the sport that has given me so much. I really want to help new athletes in sport and youth, making sure they develop slowly in the sport without burning out which I have seen a lot of athletes do and myself been affected by. In my teenage years I was a competitive swimmer at national level. This was followed by graduating from Otago University with a Physical Education degree. The desire to achieve at the highest level of sport remained a goal and after winning the 20-24 age group at Beijing World Championships in 2011 I stepped up to Elite Level in 2012. My first international elite race was Geneva European Cup in 2012. From there it was a swift learning curve racing on the international scene with my first time racing on the top circuit, the World Triathlon Series in 2014. My best ITU performance to date is 23rd in my first Elite World Championships in Edmonton in 2014. Following this I achieved a 17th the following year in a World Series Triathlon race, again in Edmonton. In 2016, I stepped away from the sport, having not met my goal of making the 2016 Olympics and a bad run of injuries and a bike crash led me to needing a break and having a focus outside of the sport. I returned to full time work, working at SportsLab as a receptionist/administrator for 1 year before getting a job as a Sports Administrator at Saint Kentigern College, my current job. During this time I realised I was not finished with triathlon and wanted to try my hand at long distance triathlon. Finishing 4th at Taupo 70.3 in December 2016 made me motivated to continue to see what I could achieve at the half distance triathlon. I have now competed in half ironmans for 2 years and had my best season and results in the last few months. I placed 3rd at Taupo 70.3 in December followed by winning Rotoura Half Ironman. Then a new pb of 4.16 at Tauranga Half 2019 placing me 3rd. 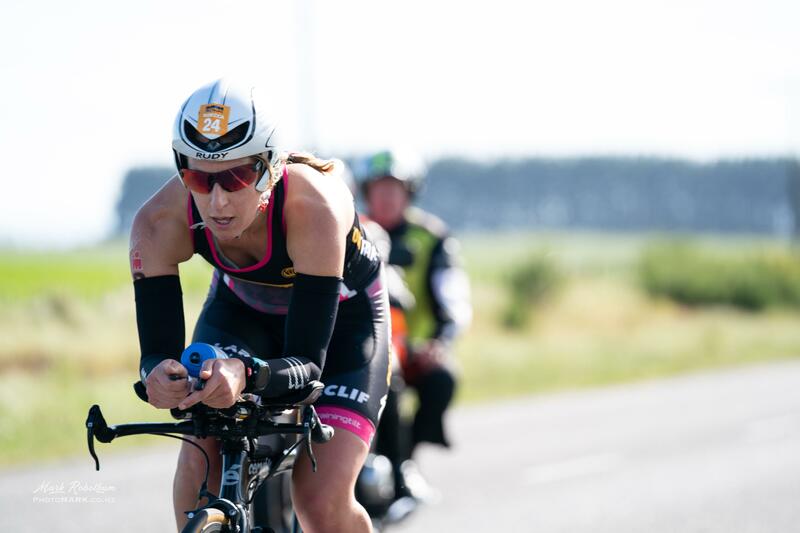 In March I finished my first Ironman in Taupo placing 5th in the Pro Women in a time of 9.32. Future goals include racing at 70.3 World Champs and Kona.